It seems as if Samsung just leaked its next smartwatch, the Galaxy Watch, on its US retail website, as first reported by CNET’s Scott Stein. 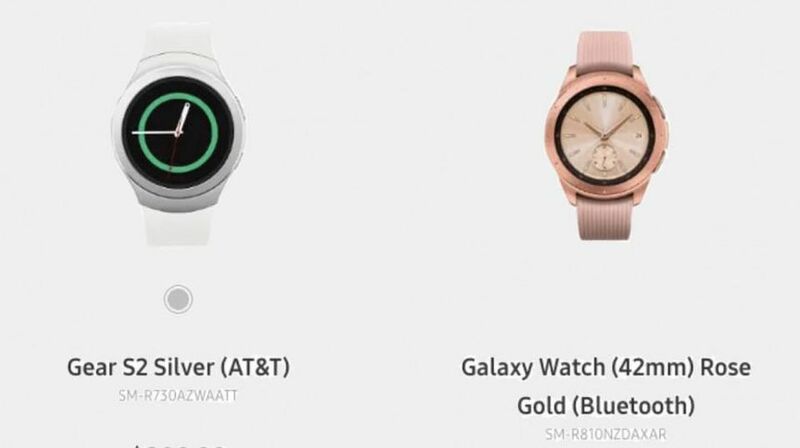 The model was a 42mm rose gold version, and it looks quite a lot like a Gear S3 Classic, which is not too much of a surprise. But it does match up with rumors last week that Samsung would be abandoning its numeric naming scheme in favor of the new Galaxy Watch brand. There was no pricing or release date information revealed on the listing, so we don’t have much else to go on. But chances are the new Galaxy Watch line will run the latest version of Samsung’s Tizen software and come with some sort of Bixby integration. Shortly after CNET publicized the accidental leak, Samsung pulled the listing from its site. The listing says that this is the Galaxy Watch (42mm) in Rose, and it’s the Bluetooth version. Previous rumors about the new Galaxy Watch have suggested that it will come in two different sizes, so the emphasis on 42mm suggests that there will be two different sizes available for sure. 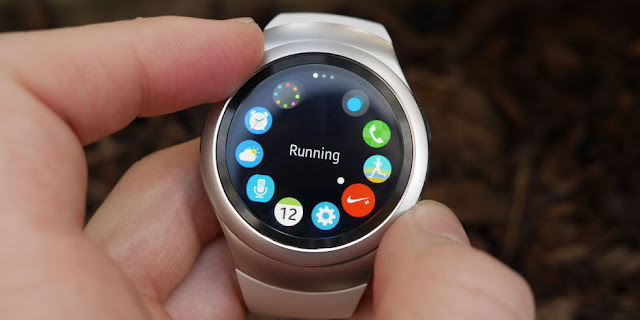 Other rumored details include the suggestion that the Galaxy Watch will run Tizen, Samsung’s own operating system, rather than Android Wear. There is also reportedly a focus on voice control using Bixby, Samsung’s own virtual assistant. Other than those details, all we’re really expecting is an unveiling on stage next to the Galaxy Note 9. The Unpacked event will be happening in New York City on August 9th, with pre-orders reportedly opening August 14th, with devices finally hitting shelves on August 24th.